The hubs aren't the issue. It's the length of the dog bones of the YZ. No. I stayed with family today. check out what MIP just post on my comments. Not trying to be a jerk but read a few pages of the thread, many people have asked the same questions and it's been answered many times. Yes we need a FAQ at the begin of the page. Just like The Yokomo B-MAX2 MR/RS has. other then yokomo wheels what would work on the car? Dose the B-Max2 Idler Shaft the same? stuff like that. Think we need a new thread and have MarkA start it and add more FAQ to the first post. A-main just received a Yokomo parts order in. YZ-2 kits will be available on February 20th according to the site. There's no need for a new thread. All the info can be put on the front page just like the Bmax info was. Correct! If Racing4Evo wants to do it they can. If not, then I can give someone else permission to update the first post. I just need to know who wants to accept the responsibility? Yes, I mean to update the opening post however I have been very busy with life and I don't have a YZ-2 in my hands so I have been hesitant to put info up that I can not verify. That's what I've done, and I can run the rear shocks in any position at full droop with no problems with plunge or axle angles. As far as the pucks system, I'd be all for the aluminum setup, but am not a big fan of CVD designs due to bind and how fast a CVD wears. Yes an aluminum setup will accelerate easier, but there are two factors that weigh in on the theory. The overall weight AND the distance of that weight from the centerline of the axis. Being a steel axle is so much smaller, I would think the gains are marginal. Maybe a 20% gain in acceleration? It's a trade off. Less weight with more maintenance and more axle bind, vs more weight, zero maintenance and no axle bind. Doing a little testing today!! 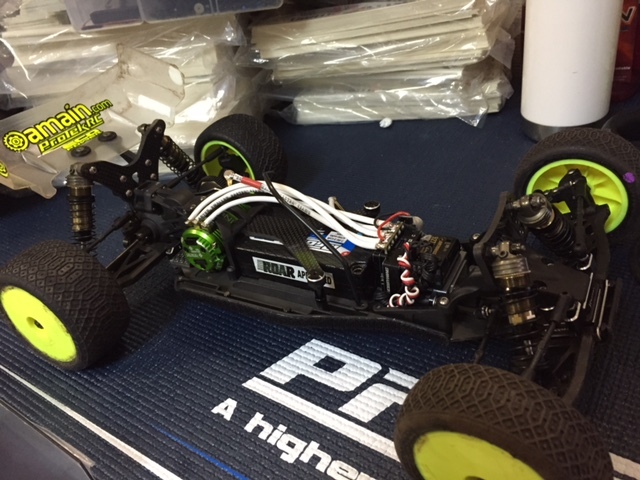 For the Yokomo cars they continue the use of a CVA design. I dont think a cvd setup would actually work on these cars due to the short axles. So the only difference with the MIP system is the theory of easier maintenance with the pucks? My BMax2 out drives and axles have hardly any wear after a year and a half of racing ( longest lasting axles I've owned in 25 years of racing) and for $90 one could service them 4 or 5 times. Honestly I've not considered anything from MIP in years as all they made for years were CVDs and used the plastic rings to hold the pins in, which I've seen fail numerous times. Wear is not the benefit. Its the huge drop in rotating mass. If you think about it like a screw driver, its had to turn a screw with a thin handled screwdriver, but if you increase the grip size it becomes easier to turn. Well By reducing the weight of the outdrives with the stock puck system you are in turn freeing up drivetrain through less rotational mass. This allows for quicker acceleration and more topend. It does bring back that "snap" that people search for in 4 gear transmissions. This is why the stock guys in the top levels of competition seek these benefits. With the stock outdrives weighing in at 22g and Pucks weighing in around 8g, its a huge improvement that can be felt. There is also the lack of initial snap caused by the play between the pin and the outdrive. This play creates problems on hard acceleration that may actually cause the car to get funky every now and again. This is why there is a benefit to the mod pucks. The design that the pucks are based off of has been around since the 90s and has been sought after by all stock racers. Look into the Blade systems used by Schumacher and Associated. Losi used a different system that was called the Slider system.